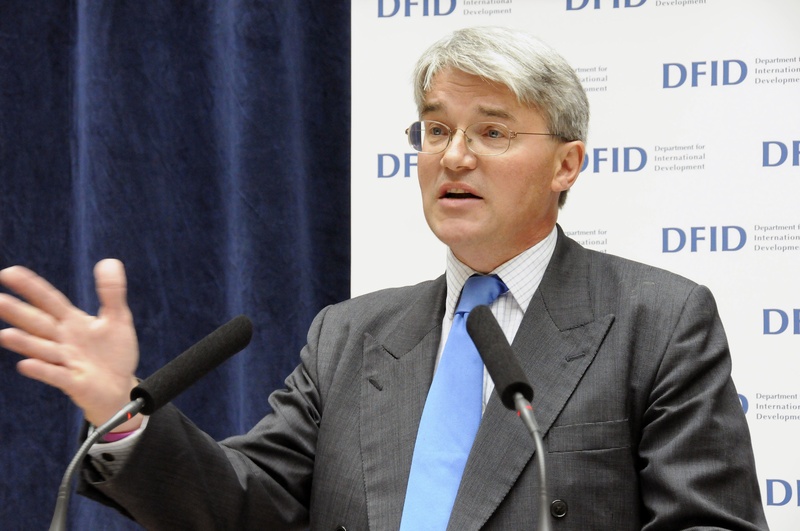 Below is the text of the speech made by the Secretary of State for International Development, Andrew Mitchell, at Lancaster House in London on 26th April 2012. Whether it’s to run the computers of City workers, or to power the sewing machines of Ghanaian seamstresses, we all need energy. But, handled carelessly, energy can be our enemy as well as our friend. The more fossil-fuelled energy we use the more CO2 we produce. And the more CO2 we produce the greater our vulnerability to climate change. Climate change will hit the world’s poorest people first and hardest – as we see so clearly around the world today – with droughts, floods and famines set to increase in frequency and intensity. The numbers of people at risk of hunger as a result of climate change are projected to increase by between 5% and 20% by 2050, while in Sub-Saharan Africa, 10 million more children are expected to suffer from malnutrition. Climate change will also affect us here in Britain. The renowned economist, Lord Stern, estimates that the economic cost of unmanaged climate change could be between 5% and 20% of global GDP. That contrasts with a 1-2% cost if we keep emissions at safe levels and support developing countries to adapt. We’re pushing hard to secure an ambitious global deal on emissions, one that prevents global warming from rising above a global average of 2 degrees while also protecting poorer countries as they adapt to the impacts of climate change. But we shouldn’t sit back and wait for a global deal we argue. There are things that we need to do now if we are to protect the world’s poorest people and help them to access the energy that will allow them to transform their economies. I believe that the Sustainable Energy for All Initiative, and the action agenda launched today, can play a critical role in accelerating progress on this issue. No country – especially not our own which led the first Industrial Revolution – has grown without increasing energy. But the benefits aren’t just economic: for women and children in poor households, access to a clean, affordable and reliable energy supply lifts the burdens of drudgery, and the ill health imposed by cooking on open fires. British aid is helping. We have set up a cross-Government International Climate Fund, with resources totaling nearly £3 billion. The Sustainable Energy for All Framework will enable us to better co-ordinate with our partners the investments which the Fund is making in clean energy. One of the themes which will bring us closer to sustainable energy for all is innovation. My department, the Department for International Development, is exploring how Innovation Prizes might be used to reward fresh thinking in this area. We also see an important role here for Climate Innovation Centres, and are supporting them in countries including India and Kenya, helping local entrepreneurs to turn ideas and technologies into viable businesses. The goals of the Sustainable Energy for All Initiative will not be achieved of course by public finance alone. We need to unlock much greater amounts of private investment. Here again, the International Climate Fund has a vital role to play. Take just one example: the Fund contributes to a multi-donor Climate Investment initiative that is now helping 45 developing countries to pilot low-carbon, climate-resilient development. This includes the Scaling-Up Renewable Energy Programme (SREP) which promises to deliver electricity to more than 2 million people in poor countries. The additional contribution which the Deputy Prime Minister announced on Tuesday, could, for example, help mobilize finance to add another 500,000 to the electricity grid in Africa. I can also announce today that Britain will be supporting a new Results-Based Financing facility, working in Low Income countries, especially in Sub-Saharan Africa. We expect at least 2.5 million poor people to benefit from expanding markets in climate-friendly products, such as solar lanterns or cleaner cookstoves, or by local electricity grids driven, for example, by hydropower. We are supporting these initiatives because we recognise that sustainable energy for all is a central element of our common future. The Framework being launched today offers us a clear set of actions to achieve this goal and to tackle the twin challenges of climate change and development. We in Britain will deliver on our commitments, so too, must the wider international community.